It's that time of year that for many, sickness bugs are roaming unchecked through our households. We have been pretty fortunate *touches wood* that my two have escaped the worse and we've only have coughs and colds to deal with. 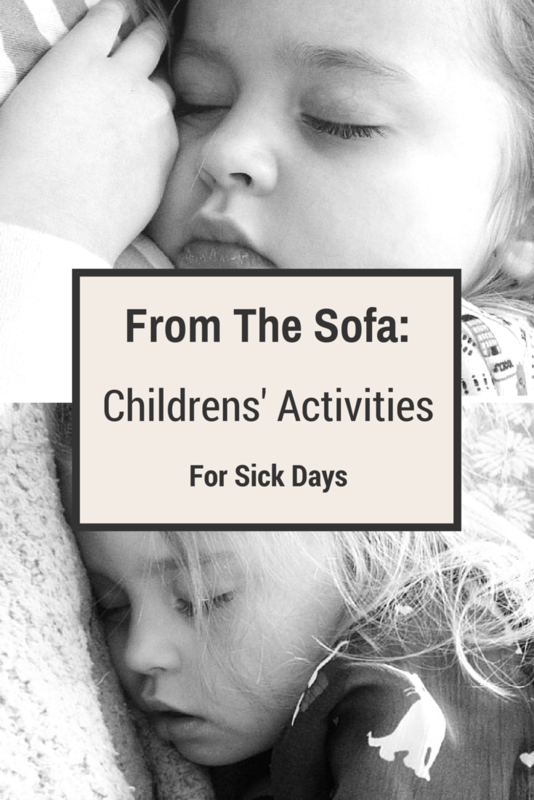 But if you get hit with the nasties like flu, chickenpox, or worse, that sees your children sofa-bound the days can suddenly seem endless. So I thought I'd put together a few ideas to keep the children occupied when they don't have the physical energy to play but their minds need some stimulation. As a mummy with M.E. I am becoming used to finding low energy activities for my two, so here are my best ones, just for you. It really doesn't take much energy to pour pretend tea into a cup does it? Bring your little ones' teddies downstairs, sit them in a circle and let them play tea parties. If you're feeling brave you could add water or juice to the teapot and some little cakes, which of course teddy will be too full to eat. It really is the simple things that can entertain them the most. 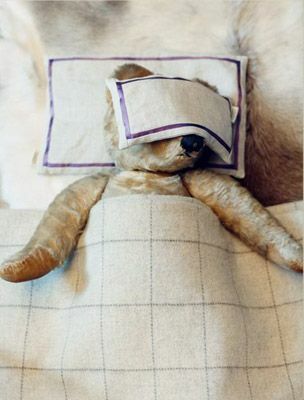 And once it's all over, tuck the teddies in for a nap. If you've got a girl, or a boy, who loves to play dress up then the salon is a good alternative that doesn't require much moving. Grab your nail varnishes and give them a pedicure and dig out some pretty clips to play hairdressers. If your feeling brave you could volunteer your own fair head, but if not a long-haired doll will do the trick. When H was younger we did lots of water bead play - they are great for sensory play but without the mess. Make up a batch of multicoloured bead, place them in a large bowl or oven tray and let them play. Throw in some cups and spoons and expand the play even further. 'Messy' play without moving from our sofa! If your little one is old enough to understand card games, you can while away many an hour with a good game of cards. From the simple Snap for the younger children to more complicated Happy Families or Whist for the older ones, the traditional games are still the best. My children love books and I often find various ones scattered all over the house. It is one of the few activities I can get my very active boy to sit down for, so grab their favourites, a blanket and sit down together for some cuddles and a story. You could also pull out some photos albums and let them gasp at your hairdo's of the bygone age! If your poorly child isn't completely bed bound then why not build a den. Use what you have around the house such as chairs, toy boxes or clothes airer, throw some blankets over the top and you have a special hideaway of them to play, read or watch TV from that is so much more exciting than the sofa! When all else fails, pop some popcorn, snuggle up together and put on a favourite film. Whilst we never like to see our children ill, sometimes those poorly snuggles can be the best, so make the most of it mummy!